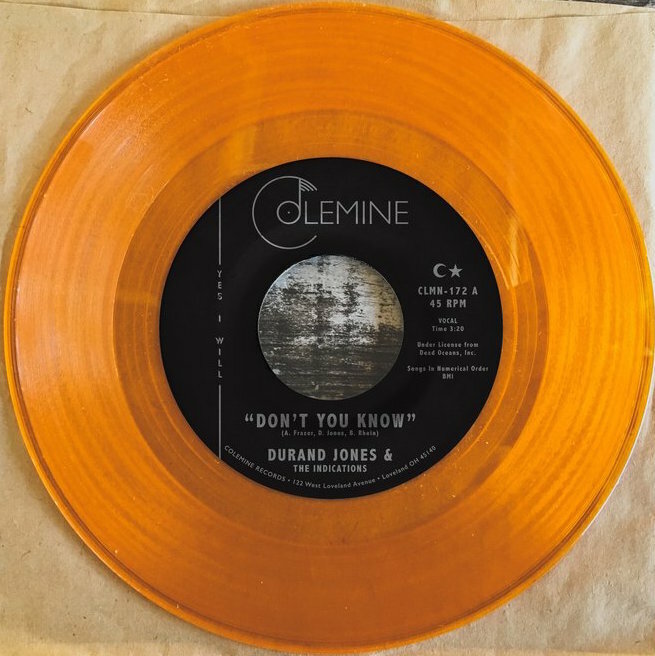 The lead single from the sophomore LP from Durand Jones & The Indications has everything you could ask for: dual lead vocals from Durand Jones and Aaron Frazer, a danceable beat, and super sweet soul harmonies that won’t soon leave your ear or turntable. 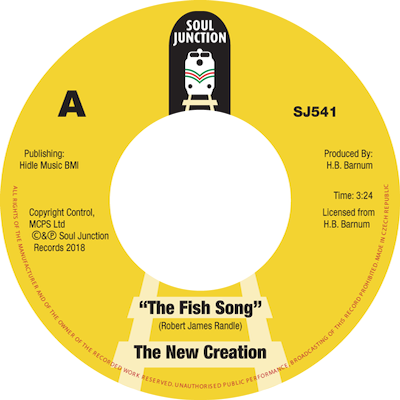 It’s familiar yet modern and it’s truly beautiful seeing these guys push soul music forward with their second LP! The New Creation were a five piece ensemble made up of family members Robert Randle (Aka Rasheed Shakoor Sr) his son Keith Randle (aka Rasheed Shakoor Jr) their nephew/cousin Melvin Houston, friends William Cooper (aka Wali Ali) and a fifth unrelated member remembered only as Wayne E-2X. William Cooper the co- founder and musical director of The New Creation, was a guitarist who had previously worked with Norman Whitfield at Motown and had toured with The Undisputed Truth and The Jackson Five. He would later be employed by HB Barnum as part of Areatha Franklin’s touring band an association that would be relevant later in The New Creation’s story. 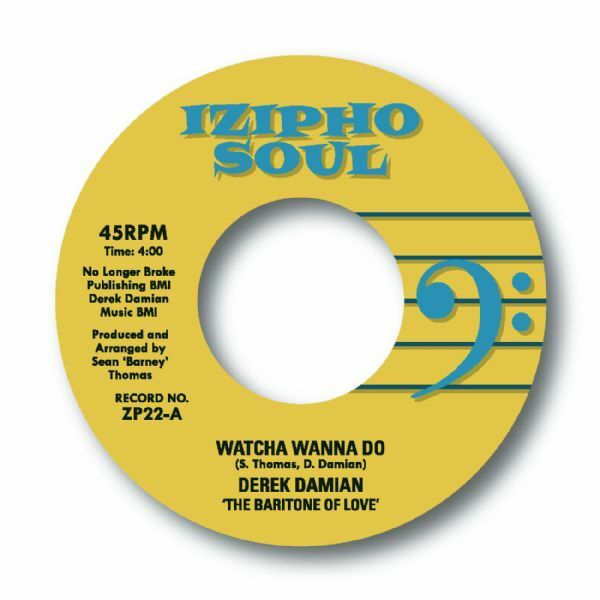 (IZIPHO SOUL Records) 7’ Out Now!!!! 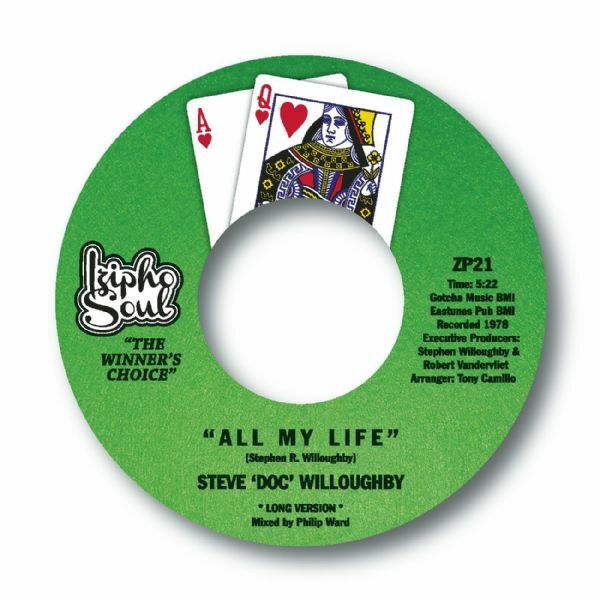 In 1978 multi talented New Jersey singer songwriter Steve Willoughby recorded an incredible piece of music. It was arranged by his good friend, the late great Tony Camillo. ‘All My Life’ will make you feel good about living and loving. 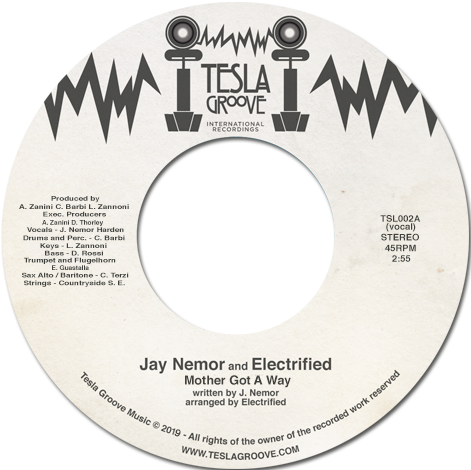 American/ Icelandic singer, songwriter, producer and instrumentalist, actor Jay Nemor (Jason Nemor Harden) is deeply connected to the very roots of soul music. He comes with a smooth and soulful style that is in touch with the classic sound of soul & RnB. He imparts a passionate message for life, love and music with his signature baritone-bass voice. 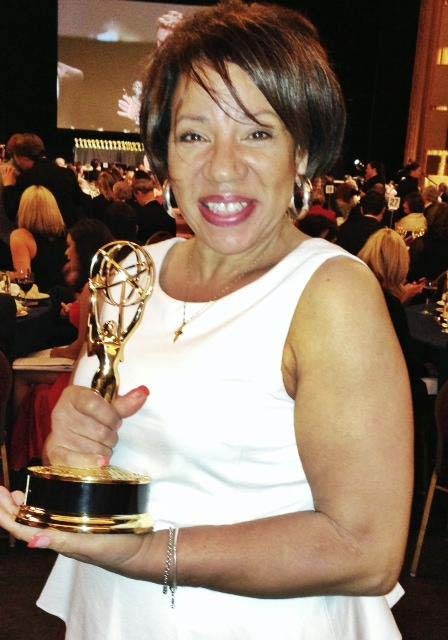 Bernadette Bascom! We will be releasing the sublime piece of music: ‘I Don’t Wanna Lose Your Love’, this literally melts the hearts of those who have been blessed with gifted ears. The B side, the powerful ‘Seattle Sunshine’ is still Bernadette’s trademark song. 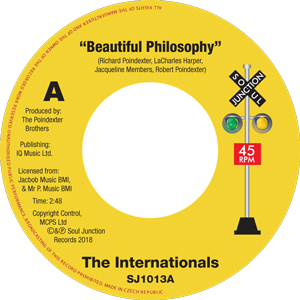 Paying homage to the 1981 7’’ single (with the original sides reversed) as well as being packaged in a gloss laminated sleeve, this record also contains an inlay card entitled: ‘Just Who Is Bernadette Bascom?’ which documents the story of this inspirational lady. 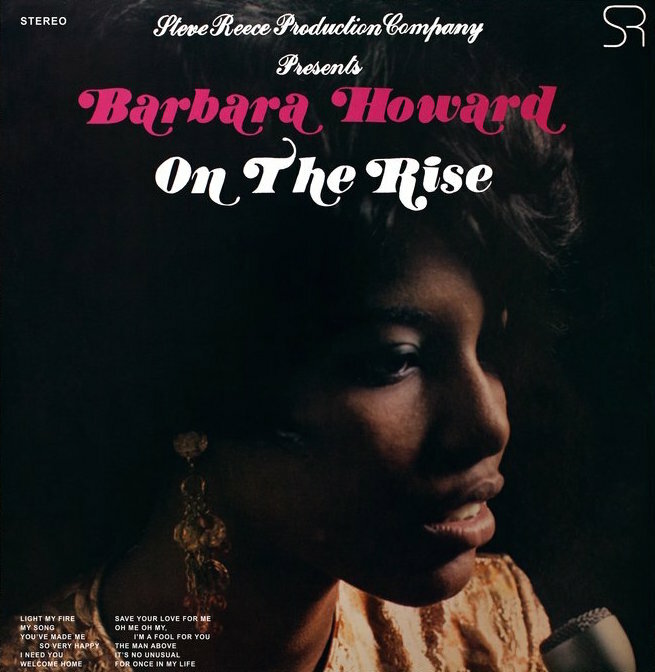 A donation from sales of this record will be made to The Music Project www.musicprojectnorthshore.org This is a charitable organisation, founded and headed up by Bernadette, which helps underprovided and vulnerable youth find a voice literally and figuratively. Legendary songwriting siblings Richard and Robert Poindexter often during the 1960’s frequented the CBS Building at 1697 Broadway and 53rd St (formerly known as the Ed Sullivan Building). On several of their visits they noticed a young man by the name of James “B.J.” Barnes, using one of the building’s many rehearsal rooms. Eventually the Poindexter’s invited B.J’ to partake in one of their open rehearsals. Asked to give their honest opinion regarding his voice, although they both liked him the brothers felt he didn’t have a strong enough voice to be a solo performer and recommended that he join or became a group. The very next day B.J returned with two other singers by the names of Randy and Tony, again the Poindexter’s liked what they heard but felt potentially this new ensemble still needed a fourth member, this situation was rectified with the addition of Douglas “Smokey” Scott the groups eventually lead singer. 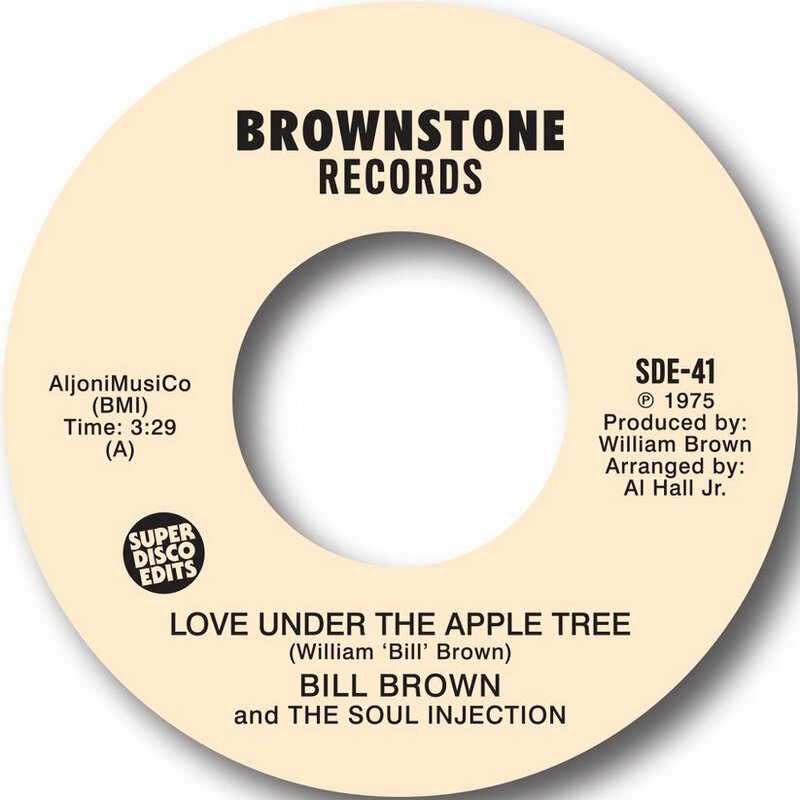 Bill Brown and Al Hall jr met around 1971, they were both in south central L.A and shared the same apartment building, also in the same building was Doug Carn and brownstone singer billy Wilson. These studio sessions were don’t at Paramount studios Hollywood where Al Hall jr was working for producer Art Smith a&c music. What a true blessing this is! ‘Where Could I Go’ is considered by the discerning real soul fan to be one of the finest examples of modern gospel soul. Originally on a CD that was withdrawn just after release, copies are impossible to find. 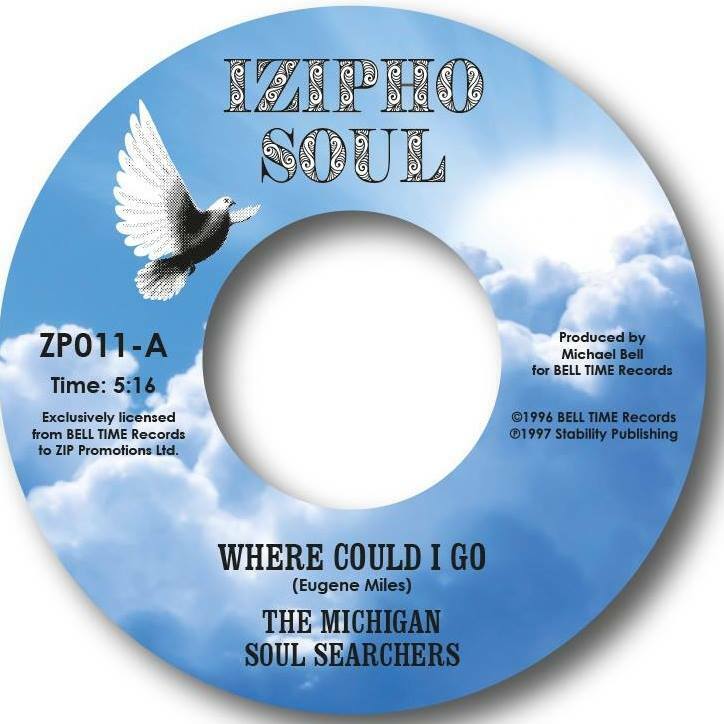 IZIPHO SOUL have purchased the exclusive rights and done the right thing – issued it on a 45! Copies are £15 each. Available to purchase from 11th April. If you would like to reserve a copy please comment on this thread or message me. Limited run of 300. Mark Allbones of Grand Vinyl Ltd for the spiritual label design and lots of other stuff!